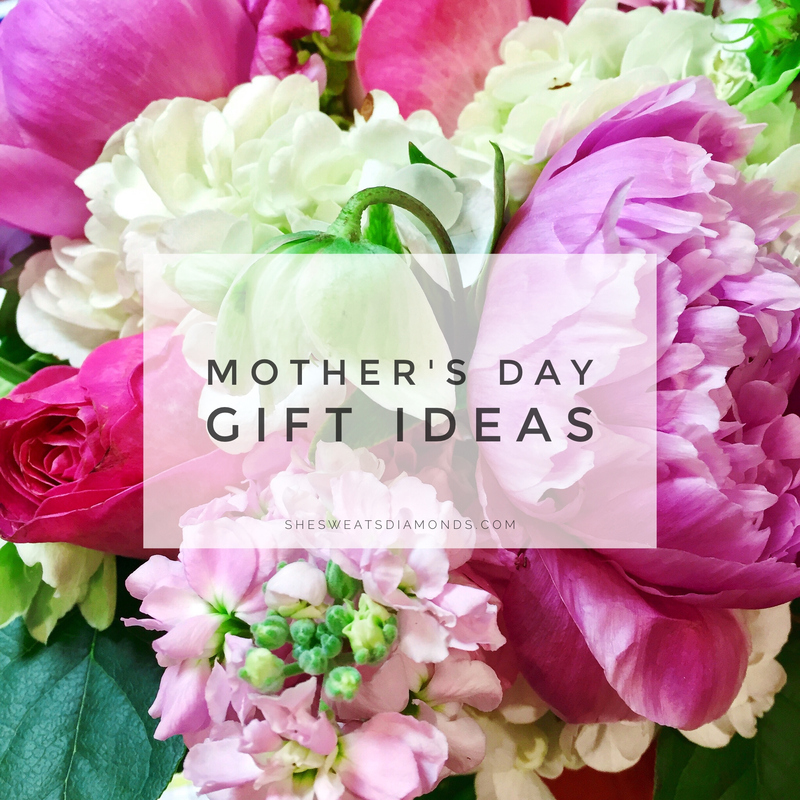 With Mother’s Day two weeks away, instead of an outfit post today, I wanted to offer y’all some ideas to gift your moms! I’ve included some tangible ideas as well as experiences because after all, making memories is what counts most, right? Here we go! Write 100 things you love about her on post-it notes and put it all around the house for her to find. Don’t forget to thank her for something she did for you that she may not have thought was a big deal. Include some memories and inside jokes while you’re at it! Laughter is a great gift! Take her to a local nursery and have her pick out her favorite blooms, fruits and/or veggies for you both to plant together! If your mom loves to garden, she’ll have so much fun choosing blooms or even herbs, fruits and veggies! I’d like to think of it as a field trip for adults! Cook a special meal for her and your family. Your family is bound to want to have lunch/dinner with her. Instead of going out, make it a bit more special. You and your siblings (if you have any) can choose what part of the meal to make and bond over cooking for your mom while you’re at it! Buy her a new dinnerware set to spruce up her dining table! If she loves to play hostess, why not gift her a brand new dinnerware set? That way, she can pull it out every year! Depending on your budget, you can’t go wrong with Target, Anthropologie or Neiman Marcus! Nab her list and take a trip to the grocery store and buy everything for her. Remember those times that she went to the grocery store while you were at school and food magically appeared in the fridge when you got home? It’s her turn to experience the magic! Write a sweet and intimate letter to her, letting her know how much you care, love her and that you don’t take her for granted. If you’ve ever made her a card in school, chances are, she has kept it and she’ll keep your letter forever too. Heck, she might even frame it and put it up on the wall right next to your baby pictures! It’s the one time of the year you can make her cry. Happy tears,. of course! Make her lunch for the week and leave it in her fridge. Nothing says love like food. Meal prep for her then label her lunch and attach a special note to each one for her to open for the week. If she’s a girlie girl, splurge on a bag for her. You know she won’t splurge for herself unless you’re with her or do it for her. Well, that’s my mom anyway. This zipped crossbody bag is so elegant. She’ll look so chic while running errands! Plan a special date with her. Whether it’s a ceramics class, spa day, mother/daughter photoshoot (no matter how old you are), it’ll remind her of old times when she took you around when you were little! If she’s a beauty junkie, give her a beautiful bottle of perfume. One of my first beauty memories with my mom was fragrance shopping. You can either gift her a bottle or go with her and have her choose! If you gift her one, Valentino makes THE most beautiful bottles of perfume! Can’t imagine her not putting it on display in her bathroom or on her dresser! You can also fall back on Plan B like flower arrangements and lunch/dinner at a restaurant, but I figured those were a given, haha! With every blogger posting a collage of gifts, I wanted to focus less on the tangible and more on experiences so I hope this post has given you some unique Mother’s Day gift ideas! Moms, mamas, mommies, or in my case, mẹ, whatever you call your mom, cherish every moment with them. This includes mothers who have gone on and mom figures/whoever you see as your mom. Make this holiday an extra special one! If your mom is still here, what do you plan on gifting her? If your mom is no longer here, how do you want to/what do you do to honor her on Mother’s Day?